The Greenland Ice Sheet is a 1.7 million-square-kilometer, 2-mile thick layer of ice that covers Greenland. Its fate is inextricably linked to our global climate system. In the last 40 years, ice loss from the Greenland Ice Sheet increased four-fold contributing to one-quarter of global sea level rise. Some of the increased melting at the surface of the ice sheet is due to a warmer atmosphere, but the ocean’s role in driving ice loss largely remains a mystery. Research by scientists at Woods Hole Oceanographic Institution (WHOI) and the Univ. of Oregon sheds new light on the connection between the ocean and Greenland’s outlet glaciers, and provides important data for future estimates of how fast the ice sheet will melt and how much mass will be lost. The study was published today in Nature Geosciences. Currently, scientists think that the accelerated rate of ice sheet melt might be due to warmer ocean waters melting on the underside of the ice, where the glaciers extend into the ocean. Little, however, is known about this “submarine melting” – it has not been directly measured at any of Greenland’s major outlet glaciers, and scientists have limited information about the ocean temperature or circulation near the glaciers, which, they think, will impact the melt rate. To begin to tease apart the mechanisms in this dynamic system, scientists needed more data. 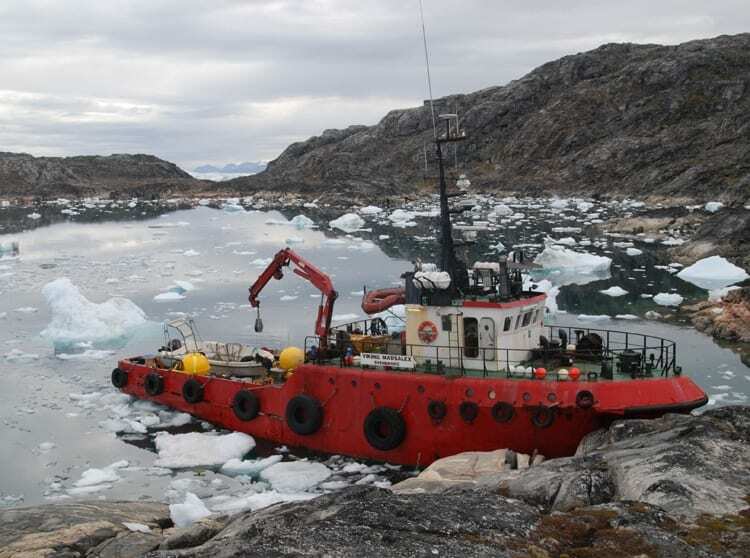 Between 2009 and 2013, the study’s co-authors –Jackson, WHOI physical oceanographer Fiamma Straneo and David Sutherland from University of Oregon – deployed multiple moorings in two fjords where the third and fifth largest outlet glaciers of the Greenland Ice Sheet terminate. In one study site, moorings were located in the middle of the fjord, in the upper fjord toward the glacier, and on the shelf outside the fjord. At the second study site, a cluster of moorings were deployed in the middle of the second fjord. The moorings collected extensive measurements of temperature and salinity at various water depths, with some measured ocean currents — the first data to provide information about the fjords’s conditions from fall through the spring. 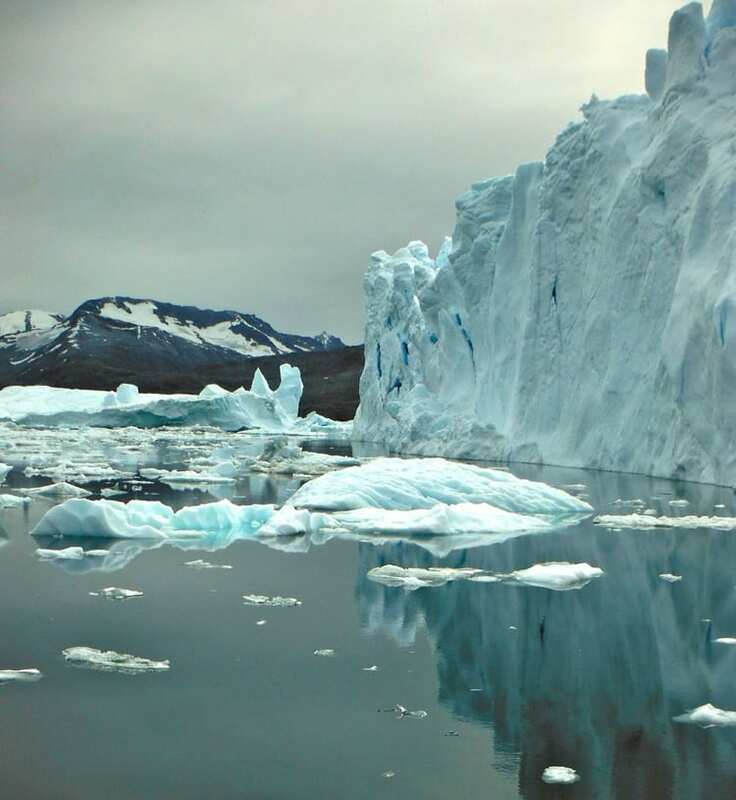 “Almost all previous studies of Greenland’s fjords were conducted during the summer when the waters are fairly calm, and were relatively brief – with no information about how fast water properties change or what drives those changes,” Jackson noted. From their analysis of the data, the researchers found rapid fluctuations in ocean temperature near the glaciers, resulting from “surprisingly” fast ocean currents in the fjords. The fjord currents, which reverse every few days, are driven by winds and ocean currents outside the fjord. 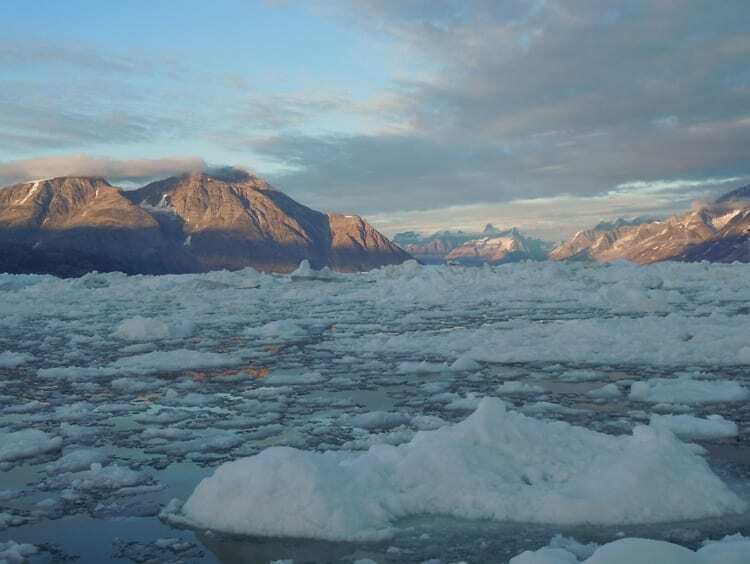 These findings imply that changes in temperature in the ocean waters outside the fjord can be rapidly communicated to the glacier, through an efficient pumping of new water into the fjord. Furthermore, the observed variability in ocean properties near the glaciers suggests large and rapid fluctuations in submarine melt rates. The scientists suspect the melt rate of the glacier varies with the temperature of the water near the glacier. 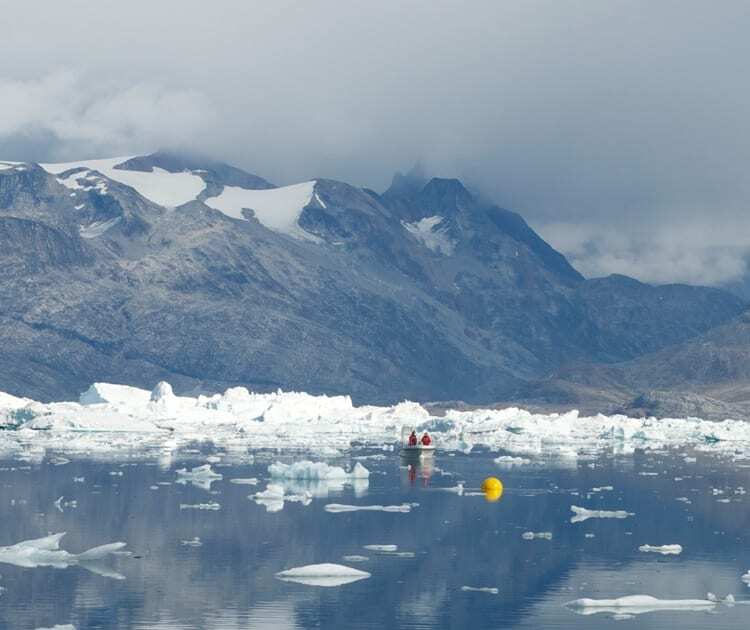 “These observations of ocean conditions near outlet glaciers are one step towards a better understanding of submarine melting and the impact of the ocean on the Greenland Ice Sheet,” Jackson said. The research was funded by the National Science Foundation and the WHOI Ocean Climate Change Institute. Sermilik Fjord, into which Helheim Glaciers drains, in August 2011. The M/V Viking Madsalex, which was used to collect the oceanic measurements for this study in 2011 and 2012, in Sermilik Fjord, near the terninus of Helheim Glacier. Icebergs in Sermilik Fjord, near the terminus of Helheim Glacier, in August 2013. The deployment of a scientific mooring in Sermilik Fjord in August, 2011. The yellow buoyant sphere of the mooring can be seen floating on the surface with authors Rebecca Jackson and David Sutherland in the small boat behind.